How much are you attached to the junk? A weird question to ask, but if you ask me honestly, I would answer, that my love for junk is almost akin to love of a teenager for a new found sweetheart! This may sound preposterous but frankly it is the hard truth! The fast approaching Diwali set me in motion to clear my wardrobe which I detest doing on a normal day! I opened a bag where I had stored my old mobiles, which keep getting accumulated at a pace faster than I could get rid of them! Soon I will be able to boast of having a small museum of a particular brand of mobiles as they evolved over the last decade! I chicken out at the thought of getting rid of them as each one has some memories associated with it. I relooked at them and after spending half an hour, I returned them back to where they belonged. Next it was the turn of examining the old shirts, trousers et al! The older clothes serve me so much better in the hot sultry months that I find them most difficult to get rid of! The comfort they provide while working or relaxing at home is unmatched which no new clothes can ever provide! So except for the ones really unfit to wear, my dilemma remained and could not find much to get rid of! The old folders of papers, cards, pictures, have so much value that even one gaze at the old cards given by relatives, friends or close family take me through the time machine and am transported back in time! The cute pictures drawn by my daughter, the lovely words, scribbled in cards given on birthdays, anniversaries, or even older cards are too valuable to discard. The older diaries are priceless, as I have jotted my travel accounts. It is a goldmine which cannot be discarded. Another bulky folder which was gathering dust in a corner was pulled out with utmost care as if handling a fragile piece of crockery! I opened, it and my old report cards of school, the school leaving certificates, some merit cards and other accomplishments popped out! I looked back at them with awe as, the time stood momentarily! There was another roll by the side, and on opening I found the posters I had so lovingly collected of the Aircraft Carriers and ships hoping that I could decorate them on the wall one day! Alas, the posters could never make it to the walls of the house and quietly lay in the corner in the cupboard. I had already spent more than two hours trying to identify what to get rid of without much success! I turned my head around, and looked at the bookshelf! Nothing much, except some old magazines which I could identify to get rid of, but my collection of The Reader’s Digest and The Lonely Planet magazine are too precious to be discarded. So after about another hour spent in rearranging and dusting them, I came to my bedroom on hearing a message beep on the mobile! I picked it up to open the Inbox! Oh gosh more than 600 hundred messages in the Inbox! I had been too lazy even to clear the mailbox. What is most annoying is that even the dozens of short messages sent by dubious property dealers and peddler of stray merchandize and promotion campaigns stayed in company of the nice greetings and messages which I had preserved! Whether, it is the mailbox or the closets, the junk stays and it takes a herculean effort to get rid of it! Sometimes, we feel that this so called junk could come to our help one day as a reuse item! One needs a very strong heart to get rid of the clutter is what I realized! I would love to hear from you readers to suggest how you get rid of these assets which are priceless at times! Your post reminds me that its time for my annual Diwali cleaning. Once upon a time I too hoarded loads of junk, but nowadays I am getting a little wiser. I inspect my cupboard for junk atleast two to three times a year. My belief has become that what I consider junk may be usable to someone, so I dispose it quickly, so that the other person can use it. I agree Rachna, that whatever is unlikely of use is best given away! Yes, this time I posted my mail to ensure you are first if you care to read:) Thanks a lot! I'm not as bad as you, but we do have a lot of ... er... junk - or should I say hidden treasures around the house! I know Lady Fi how bad I am hence asked for help:) Thanks a lot! :-) I used to have all sorts of things stored - mostly because we had a rather large house. These days, I am far better - a clutter free space is much better as the sheer thought of regularly spending time cleaning and dusting is crazy. Ha ha, Vidya so you still need to decide what to do with audio cassettes! I forgot to mention them:) Thanks a lot! Hi Rahul, good choice of topic, I must admit I used to be guilty of hoarding all sorts of unnecessary things too, but over the years I've learnt to toss them out. Its true that you must keep certain pieces of memorabilia that can't be replaced - photos, cards, souvenirs. For clothes, if you haven't worn it in 6months to a year - it should go. If something can't be used again or is obsolete, it can be tossed too. Start with something less important and slowly you will find it easier to let go of stuff. Let us know how the progress is going with your spring or rather winter cleaning! Have a wonderful weekend! Ha, Ha... been keeping busy with clearing operation, Sam:) Have a lovely week ahead! I finally have some company, Rama, who exhibits the same trait! Thanks indeed! Ha ha ... That is what I would write about my sister! Sick of looking at the clutter everyday my brother-in-law bought another apartment adjacent to store all precious junk my sister loves! She even has preserved all my toys and clothes when I was little! I think she mainly preserves the fond memories associated with those things :) Nice post, loved reading it! There will be enough people with similar traits Kusum:)You are lucky that collection on your behalf is being done by your sister! Rahul sir, you remind me of my nana. 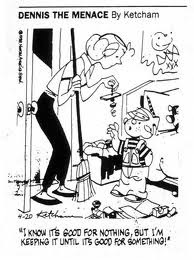 Aunt, mom and nani used to pester him to clear out 'junk'(according to them), but my nana wouldn't hear of it. So many memories associated with those things. I would also not be able to just throw them off. The cards and letters, ceritifcates, those have to be preserved for life. Mobiles and trousers can go I guess :-) Nostalgic one. I could identify with this post.. My collection includes all the b'day cards i have got since i was in 5th standard, all my merit certificates, some art and project files, and most important of all.. my school uniform!! However sometimes i am jokingly criticised for keeping all these things so safely till now!! Agree...some are so precious that one cant label them as junk...sp handwritten cards. I have a perpetual problem with things. They just keep getting piled up. Bigger problem is with hubby wanting to keep every tiny thing including wrappings :(. A good reminder post!Either you appreciate the junk you have collected or you trash them down mercilessly! I do the second, if I dont use a stuff for a month, that means I can survive without it!I give away to those that are needy and who will need it for their survival. Detachment... is the key! I now need to be stonger like you Padmaja for being merciless in getting rid of the things not needed:)Thanks a lot! Good habits get passed down the generations , Ash:) Thanks! I have promised some readers before that I will get rid of the junk, but your suggestion is just contrary to that, Ramya! I need to remain the way I am and keep collecting more such treasures:) Right now, not sure what my wife will say, but rest assured you wont be hunted down!! I am also in the habit of keeping clothes thinking, I might fit in them one day, and that day is always eluding me. Sometimes I do feel the need to clear up, and give away things that has been luring me keep with false hopes,I just don't think twice, and just pack them and give them to people who can wear them. I also feel having clothes that will never fit me, is a waste of space, and also this prevents me from buying new clothes, so the best solution is to get rid of them. I even have lots of books, which also needs to be given away to some deserving people. Ha! think of so much more space to keep new things. I feel we should give away things that has been lying around unused for a year. I am getting a stronger message to get rid of old stuff soon:) You justified it so well Rama! Oh my, Rahul sir, My loft is full of junk, I am really stupid I tell you, I am spontaneous buyer which sometimes i regret too.. because it has ended up having so many things .. that probably i did not want and since they a bit expensive too , Now I dont have the heart to throw them .. so they are stuck in the loft waiting that some day i will use them ..
clothes I am getting fatter and fatter .. so I have again ended up putting my old clothes and suits in big bags .. hoping One day i will reduce which it seems is never gonna happen ..
You have no idea how much I manage to throw in the garbage every time I tidy up my closet. I never have anything to wear, like all other women.. but I throw several garbage bags of clothes a year. Bad conscience, I should have sent it to others who need it.. Thanks a lot Tanya for that nice comment:) Happy week! I am the queen of all junks!! Some of these are really priceless Rahul, an old report card for instance :) For the rest, there are times when I am in a super-robot mood when I go on a cleaning spree and dispose off things before my mind has a chance to reconsider. Jaishree thank you for relating the similarities! Now I also need to get detached to junk soon, to get rid of it! Most of us think alike, Anisha:)Thhanks a lot! I can't stand clutter, but my man is a hoarder! He saves things hoping it will be of use someday. I'm going to show him this cartoon! Thanks Ash for having related to the post! I stood with you... it’s not easy to get rid of old things, even we drop few hold back a lot. Dear Rahul, I understand exactly how you feel, I have trouble parting with anything that holds special memories for me, so I would say I am very attached to my 'junk', to me they are treasures. Ha ha Dianne, even you are like me:)Have a lovely weekend too! very nice post.. with regards to clothes and dresses., this happens to me too.. most times old clothes become home wear, so that is okay..
but sometimes stuffs that are gifted or some that i like, i just tend to keep them.. oft it happens that i get bored of some clothes though they will be in a good condition, and they just lay in there..
my dad is that way too., and my mom does the clutter cleanin for him without his knowledge, she gives away his old clothes to the workers., which he realises only when he see s there wearing it.. In my house there is automatic clearing of clutter -- we shift houses so often that the unwanted stuff gets thrown out or given away. Though I collect some amount of junk with nostalgic value, clothes are something that I regularly give away. @Vidya Sury: digitise the cassettes and keep them for their nostalgic value. Sometimes cassettes get spoilt. I have begun doing it. Philips has a four-in-one model that lets you directly convert audio tapes into MP3. I am in the process of doing it. But hope to keep the casettes too, if the L&M lets me have my way! I too used to be transferred often while in Navy so I know what you mean! True, Zuzana! Need to do some cleaning soon:) Thanks! Good one. I love to have some selective junk. Nice to see you back Shreya after a while and it is indeed a pleasure :) I too also need to catch up with your blog! I think most of us have this attachment to our old nick nacks..sometimes I too wonder why we are so attached to things? Ha Rahul one time I did collect alot of junk but now I am just the opposite as I get rid of everything as I am so lazy to clean up. I hate dust around. So I realized more junk I have more cleaning and I took turn to getting rid of everything. I wish I could become like you:) Thanks PAPS! Thanks a lot Ionela for visiting my blog and liking it too:) You have a very nice and colorful blog!
" Whether, it is the mailbox or the closets, the junk stays and it takes a herculean effort to get rid of it! " ---- I love collecting stuff, so I loved this meaningful sentence...LOL.. I make sure I keep all these dear stuff safely and I restore to throwing away the not so fond, space occupying junk, without a second thought. Rahul..." Enamorado de basura "
Creo que a mi nadie me gana en estar enamorada de basura, es como dices la llevo en lo que siente mi corazòn, guardo todo con mucho cariño. En bijouterie por ejemplo que no uso, he tenido oportunidad de regalar para un cumpleaños y no puedo porque es algo que me pertenece, le doy vida a mis cosas. I can't get rid of junk as well and I'm so attached to them. Even cleaning them takes me on a journey of thoughts and I could spend eternity doing it. And now we are about to relocate and I shudder at the thought of de-cluttering. neighbour-commenter in many blogs, this is the first time I am stopping by. Welcome to my blog Susan! You have a lovely blog too as I read through the posts and was a pleasent discovery! Hope to see you here more often!